Carbone’s Pizzeria - Sussner Design Co.
Carbone’s Pizzeria has been a Twin Cities family dining and authentic pizza pizzazz institution since 1954. 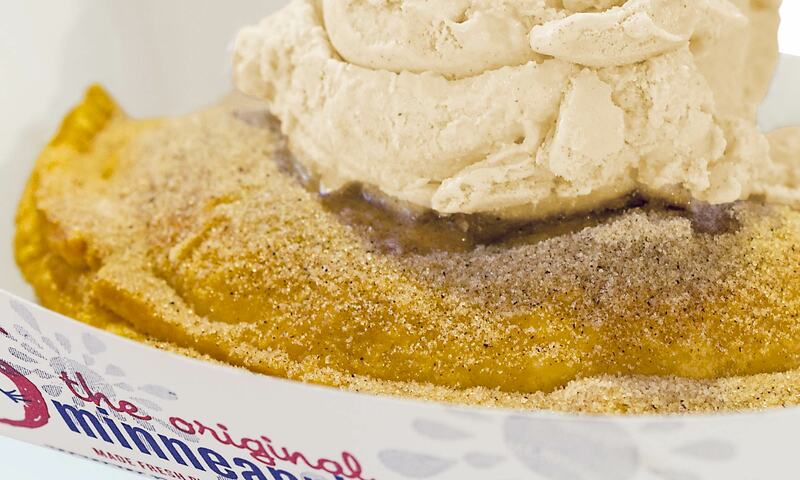 We can attest that they make a mean slice (or square piece, as it were). 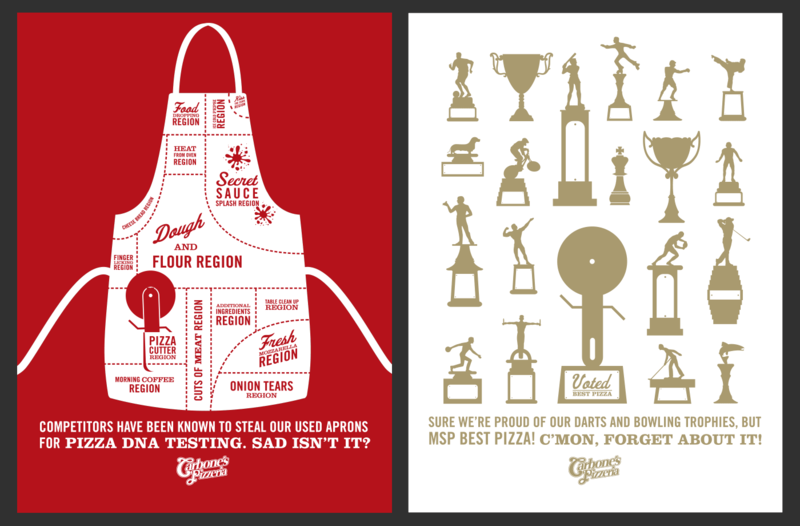 But 'za competition has grown quite a bit over the years. 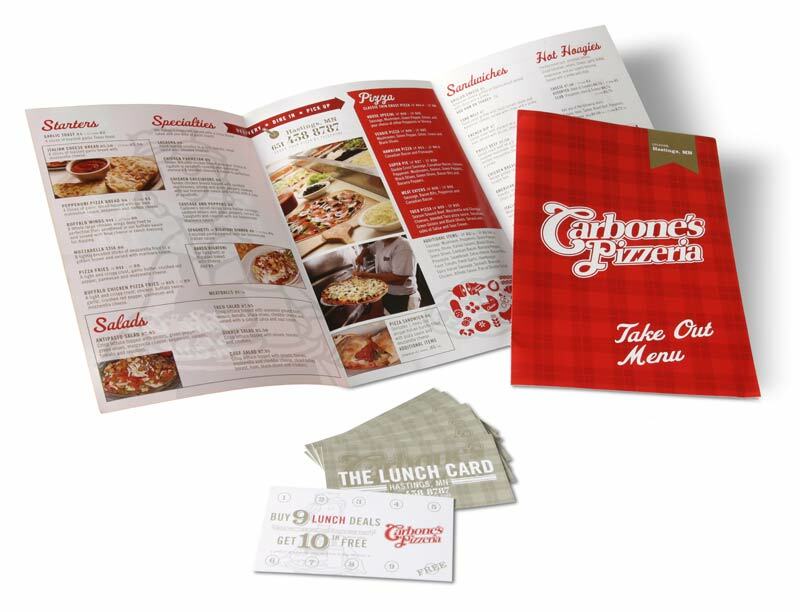 Carbone's recognized the need to bring their marketing and branding into the 21st century. They also had grown into a franchise of 35+ locations in need of unifying. We set out to bake in brand cohesion and develop smart, efficient and cost-effective ways to bring in more customers, more often. Carbone’s called and we delivered a large, hot marketing pie with everything on it. If it ain’t burnt, don’t throw it out. 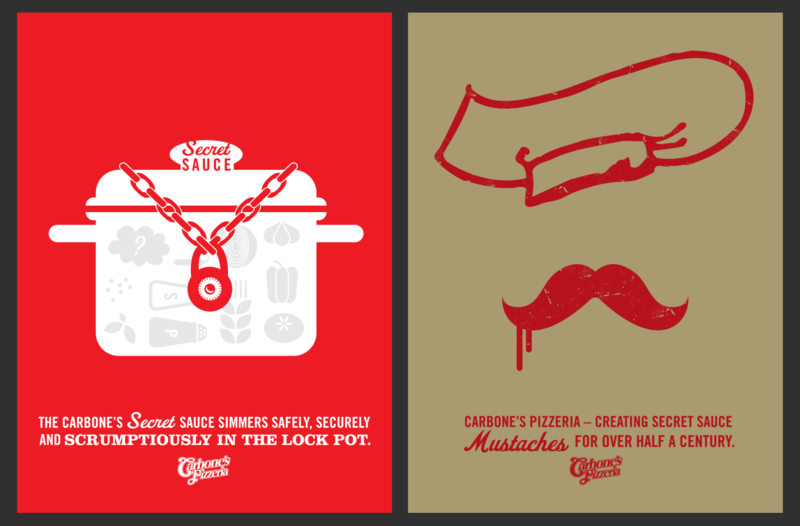 That’s the pizza logic we followed with the Carbone’s branding. 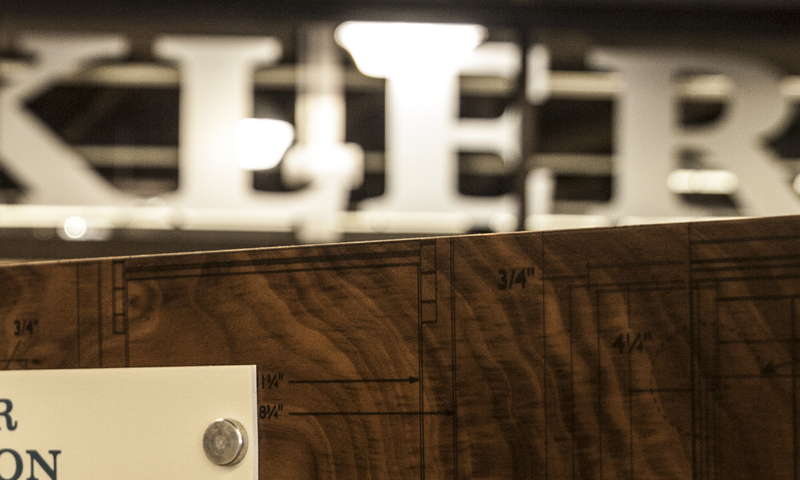 They had a recognizable logo that felt authentic and their customers liked that traditional neighborhood feel. So we did a clean-up to their wordmark along with some fine-detail refinements to improve legibility. The rest of the visual system fell into place nicely, with a similar approach to colors, patterns, typography, illustration and iconography. The result is an identity that hangs onto its hometown heritage, but feels fresh and put-together enough to go toe to toe with the giants of Big Pizza. Sussner’s marketing work has made us look more relevant and has helped increase sales. Their approach is innovative, fun and appropriate for our brand. The team is easy to work with, professional and always accessible. 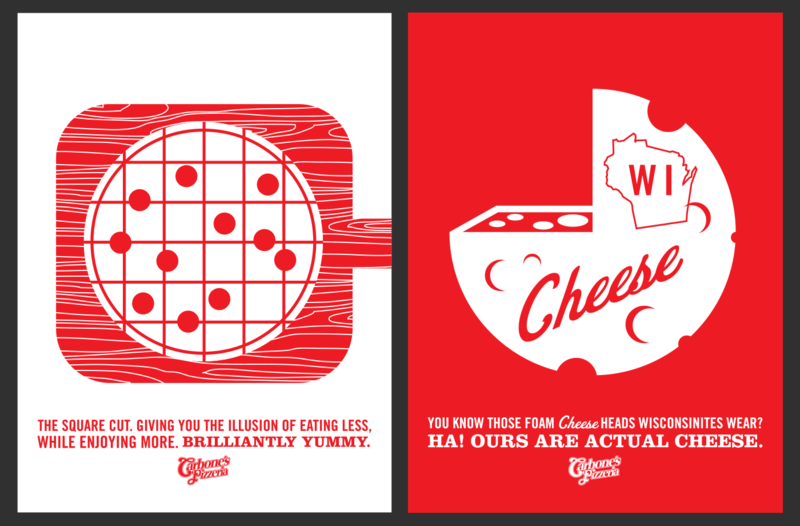 POSTER SERIES: A set of screen printed posters was created for decoration in the restaurants. 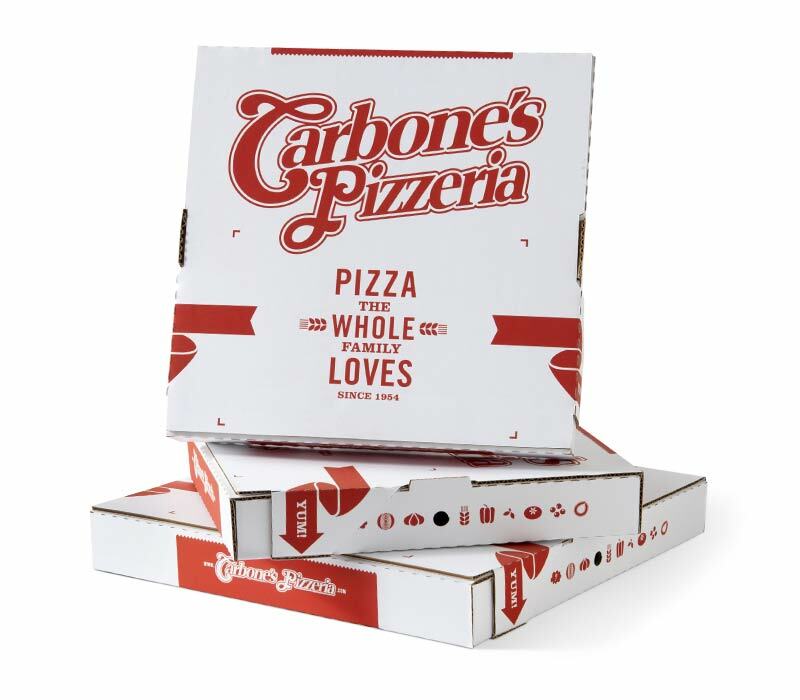 Our research revealed that Carbone’s should be focusing on “Soccer Mom,” who wants to feed the little monsters fast, but doesn’t want to give them greasy, junky pizza that might be found at a nation-wide chain. The secondary target was “College Grad Bro,” who is still a huge fan of ‘za, but whose newfound salary allows him to seek out higher quality. 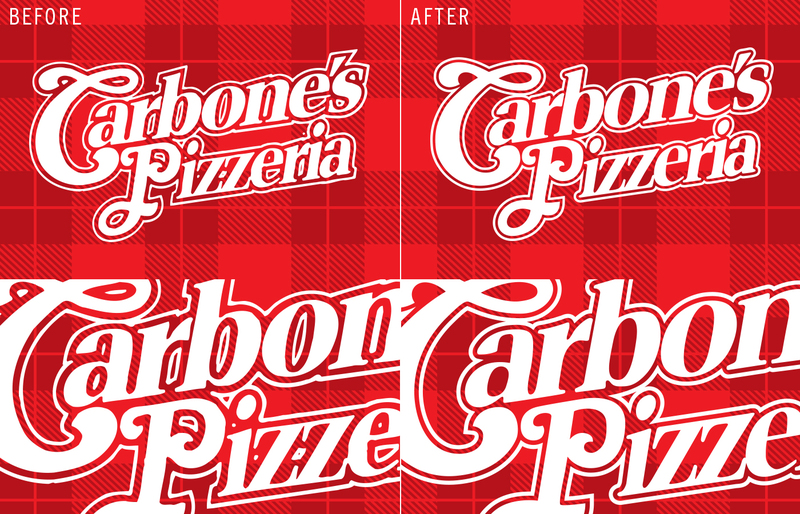 This understanding of the audience gave us a clear picture of how to market Carbone’s, in both tone and medium. 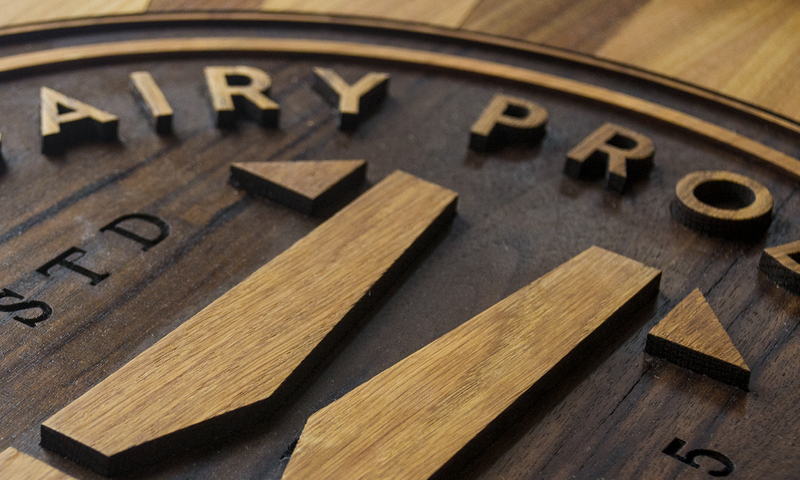 We cannot give higher praise to Sussner Design. Their creativity and knack for tasteful advertising has not only expanded our brand positioning, but also made us feel confident in our partnership. Whenever I see our ad on the side of a bus, or look at our in-house designs, my satisfaction for our connection with Sussner grows. HUNGER TO HUNGER TRAFFIC: Advertising efforts can be seen and heard all around town, from buses and billboards to print pubs and radio spots. 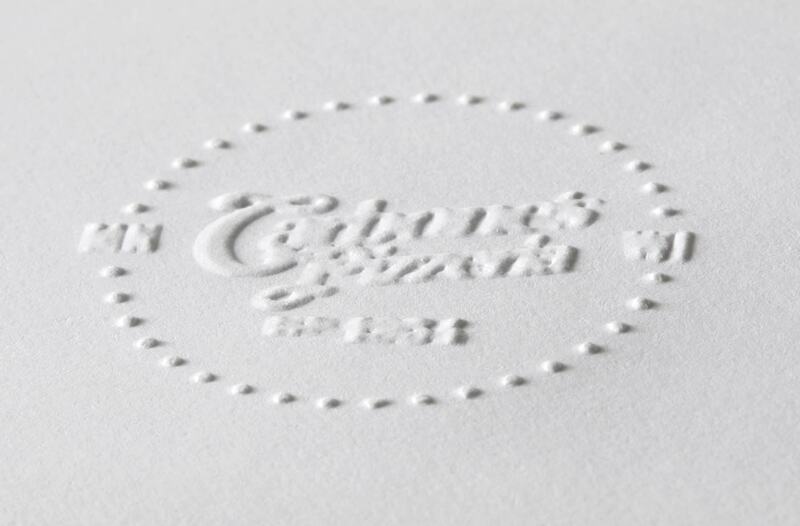 EMBOSS DETAIL: The official seal of deliciousness. 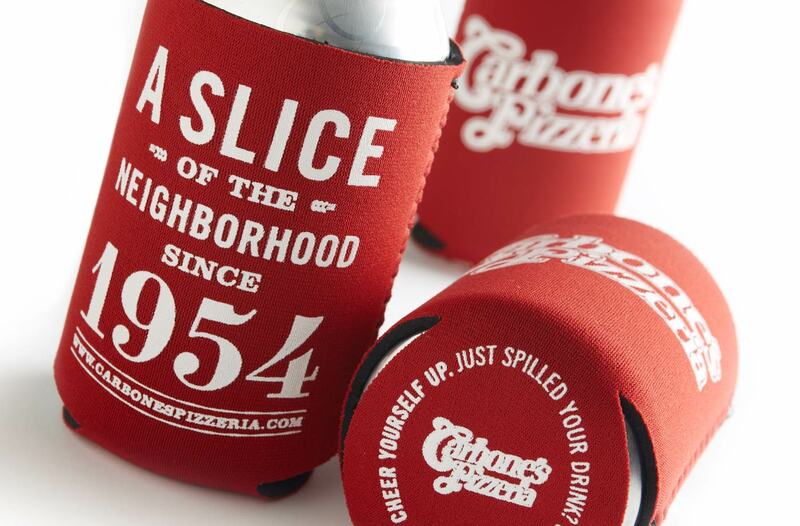 CAN COOZIES: We know how hard it is to let oven-fresh pizza cool down—these babies keep your beverage icy and ready to remedy your next cheese-burn. 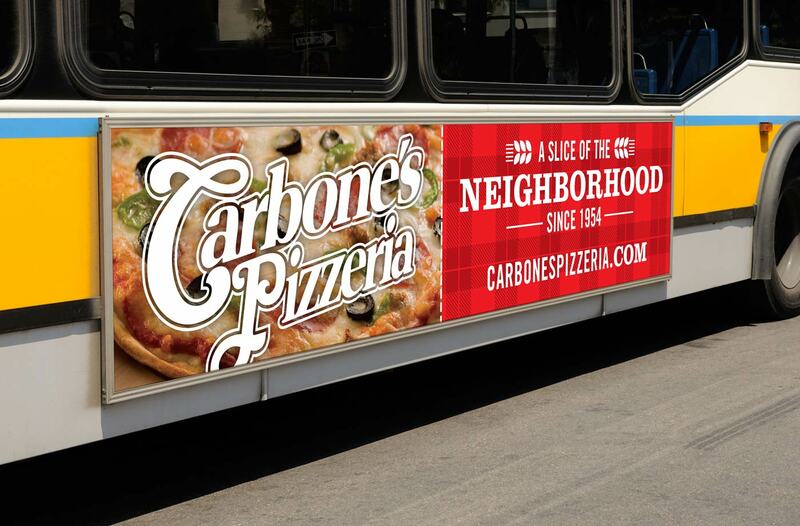 Carbone’s previous marketing efforts were geared toward the restaurant owners themselves, pumping money into the channels of advertising they would normally see and hear. We re-allocated that energy to reach the intended audiences, to great success. 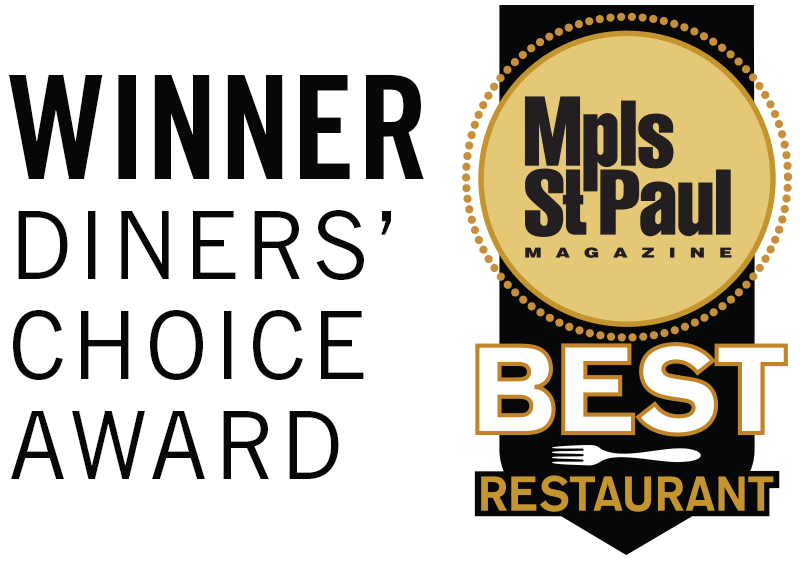 Our initial grassroots campaigning even earned Carbone’s an MSP Magazine, Diners’ Choice Award for Best Pizza in 2011.